Most investors would be surprised at just how bad a lot of property managers really are. But is yours one of them? I'm not surprised but as Property Managers we tick all the boxes. The reason we set up our agency supports this article. Well done!! I have been leasing property through agants for 25yrs.There are few agants worth their weight in gold. Infact have met two. Mostly your chasing them up to see if they have done work/tasks as requested. Principles can also be the root cause for bad management by not having the right number of property managers for the portfolio size. An agent claiming to have the biggest number of rentals on their books, had also better have the largest number of property staff on hand. 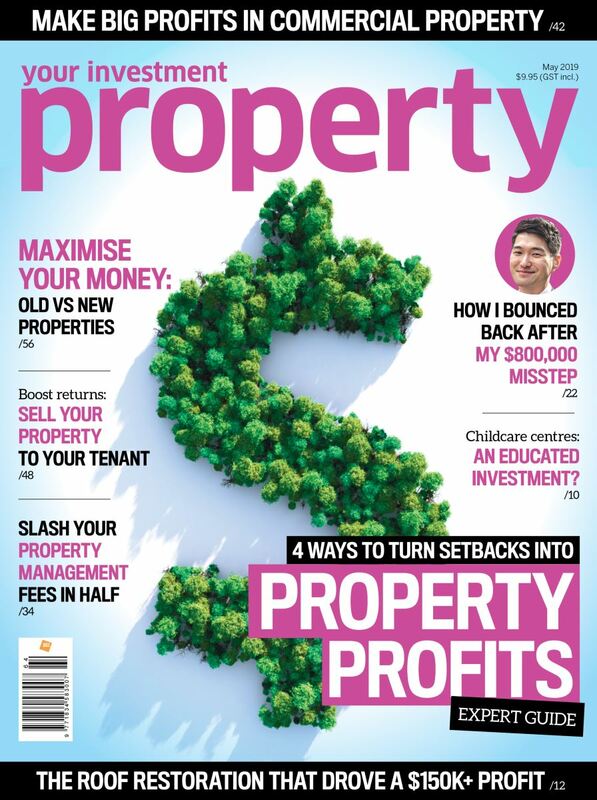 Brilliant Property Managers are as rare as hens teeth. My personal experience with BAD property managers has seen a convicted criminal on parole and a prostitute put into my rental house as there was no checks done on the applications and the agents lied about there application. Other agents have been extremely sloppy in there admin fees with overcharging and withholding rent in the real estate agents bank accounts. I vow NEVER to list my properties again!! These are my personal experiences about renting as well as my kids. Bad property managers do not give the required time to vacate the premises = the tenant does not to clean up. Bad property managers let the land lord hold on to the key and he shows up at random times without notice = no need to clean the joint. The owner shows up without notice and demand 1 of 3 students has to leave as her daughter is moving in = no clean up done and property left behind= full bond returned. Property manager getting her dates mixed up = a complaint about a door missed = at vacation we managed to secure the door from outside and used the ladder to get down = full bond back. Yes, surely there are bad tenants but there sure are very bad property managers and owners! Thankfully I haven't rented in years and my kids won't be for too much longer. Story rings true. Trust your gut instinct, document all agreements/conversations and make sure that you take a personal interest in your investments don't leave it to a property manager. Unfortunately we had a horrible experience with a property manager that was a bully and then we ended up in court to defend ourselves (investment) against her unprofessionalism and our reputation. A realestate agent from Perth was the worst property manager I ever came across. She was given such good references from the agency she worked at but they forgot to mention that she doesn't actually do her job properly and is careless with investors money. In the 12 months she managed our property (when it was rented we only got 20% of the income because the other 80% was taken up in false maintenance claims).... Be aware and trust your instinct. We ended up in court defending claims that should never have been made. Ok... my 50c .... 6 signs your property manager (PM) is doing a bad job. 2 - you have to keep checking rental income - following up on late payments and no action by the Pm before you call (I.e. they don't even realise there is a proble). 6 - PM doesn't actually like their job, they are 'stuck' there for what ever reason, they should really move on and find something else they like better. Wish my landlord could see these 6 signs about his property manager soon... PM is sneaky and has an excuse for everything and yet the landlord believes everything she says.... I hope my landlord sees how she is ripping him off because he is such a awesome Manager at my workplace. My brother has had 3 disastrous property management companies in a row. I won't name them, but one was a pair of sisters, stealing rent and furniture and blaming tenants. One was a pair of ex lawyers I think, who rented his place out but told him it was empty and the last one's youtube videos look like my 3yo produced them and his site is simply lots of back links. How do you find good agent though? Is there a governing body for property management? Most of this is true, but build a relationship with your property manager and they will take care of you and bend over backwards for you. If you treat them like dirt and forgo common human decency you will make yourself unapproachable. If something at your property does eventually break, your property manager didn't break it. Property managers would love to be pro-active, address issues before they are caused, get that air-conditioner serviced before summer, so there are no major malfunctions on a public holiday long weekend, your property manager is there to look after your property, but can only act retroactively because of this set and forget mentality. I would add that enthusiasm as a Property Manager to really take the lead and actively support the landlords prime asset base in ensuring that inspections and market rents are reviewed at least yearly, as a key part of Real Property Management. I'm in the process of changing my Property Manager for this very reason as there lack of enthusiasm has costed me to miss $80 in rent per month over the last 12 months. A $5 per week increase in rent won't cut it!